Help : The User Window allows you to maintain User of the system. 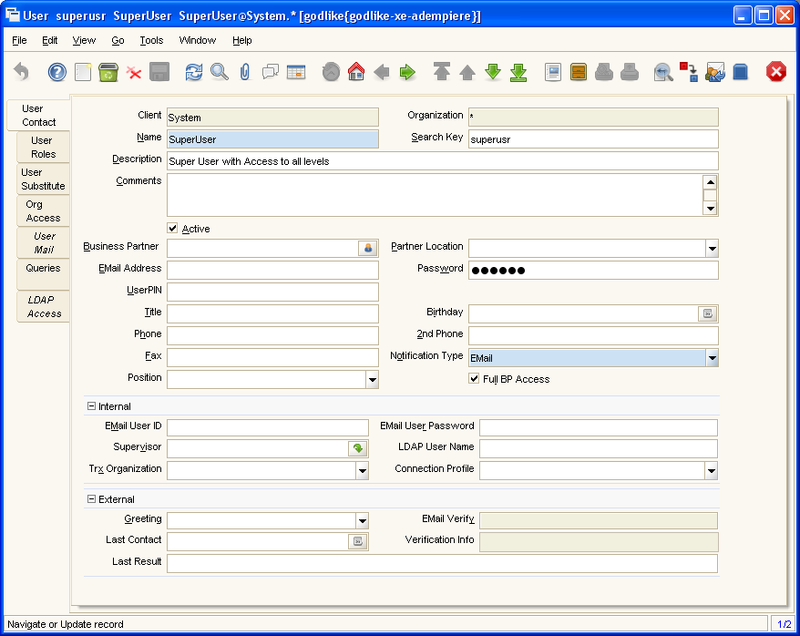 Users can log into the system and have access to functionality via one or more roles. A user can also be a business partner contact. Help : The User Tab defines the log in for Users who have access to the system. 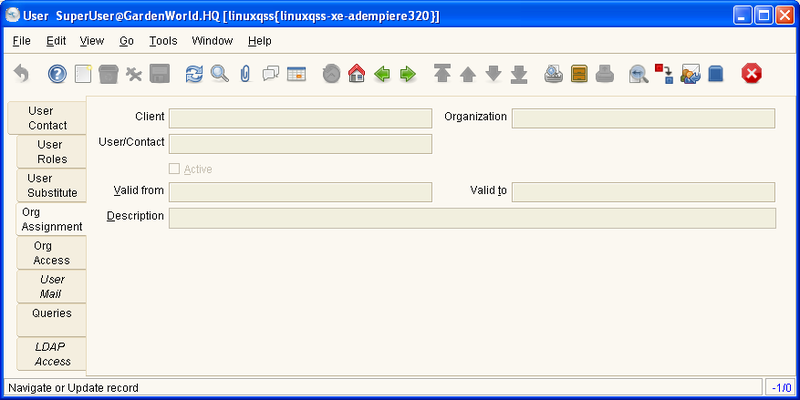 For application access, users need to have a role assigned. Help : The User Roles Tab define the Roles each user may have. The Roles will determine what windows, tasks, processes and workflows that a User has access to. Help : A user who can act for this user. Help : Add the client and organizations the user has access to. Entries here are ignored, if in the Role, User Org Access is not selected or the role has access to all roles. Note that access information is cached and requires re-login or reset of cache.